Now that Apple's super phone is a gaming system, we have some requests. Apple launches iPhone's Apps store July 11, delivering games such as Sega's Super Monkey Ball ($9.99) to the masses. We expect other publishers to follow suit, releasing numerous games on the platform. Actually, it may only be a matter of time before companies bring their biggest franchises to our favorite phone. That said, here are our most wanted. Peggle is one of the best games to come along in a while, and thankfully, it'll appear on iPhone. A delightful strategy game, it challenges you to eliminate orange balls from a playfield by maneuvering a ball launcher and firing at will. Once you put your ball in play, you watch it bounce off walls and into other balls, wracking up points in the process. All Pop Cap needs to do is devise a simple control scheme so iPhone users could, ahem, shoot their balls. Either they could build left and right buttons onto the screen, accessed by touching them, or just have the user slide the ball launcher with his or her finger. Thanks to iPhone's built in accelerometer, we have a steering wheel in our pants, and there's no better racer to dive into than Burnout. We'd select from numerous fantasy cars and hit tracks looking to cause destruction, bumping opponents off the road and causing horrific crashes. 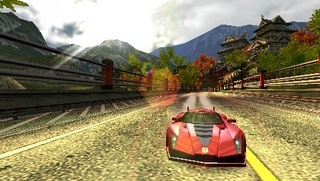 Although the game wouldn't feature the same amount of detail on Xbox 360 and even PSP, we're confident that developer Criterion would whip up something sweet to get our vehicular juices flowing. As this video shows, it's possible to get a first person shooter up and running on iPhone. 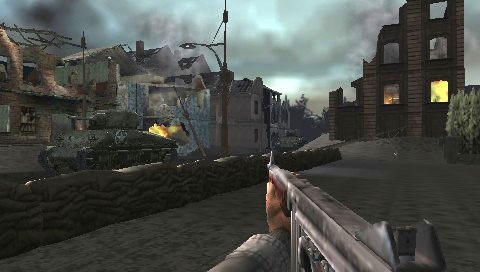 Considering Activision has Call of Duty games running on every platform, it makes sense to take a stab (via bayonet) at this platform, sending us on dangerous missions through Nazi infested Europe. Perhaps it could rig the phone's vibration to rumble with each shot of the game's authentic WWII weapons. 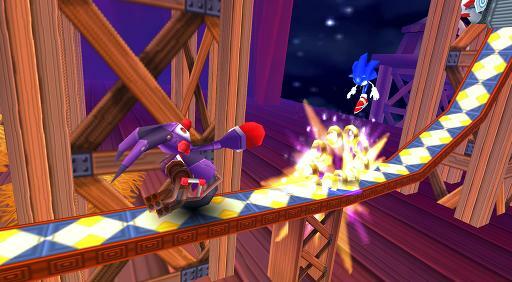 Sonic and the Secret Rings for Wii fell short of expectations, but Sega succeeded in creating a Sonic game that doesn't require d-pad or analog stick movement. It could theoretically create a new Sonic from the ground up on iPhone and restrict movement left and right, courtesy of the phone's aforementioned accelerometer. Tilt left and right to collect rings and dodge hazards, tap the touch screen once to jump and twice to spin dash. Works for us. In 2006, Namco Bandai released Point Blank DS, a version of its popular shooting series that ditched the light gun for stylus shooting. The same could work for iPhone, where instead of pointing a plastic gun at a screen and squeezing the trigger, you tap it with your finger or a stylus. Sega could bring one of its old school shooters in no time, letting us kill zombies in The House of the Dead, while Namco Bandai could chime in with Time Crisis, already available on cell phones far less powerful on iPhone. Role-playing games are a perfect fit for iPhone. 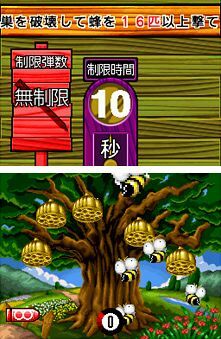 Much of the controls would be touch driven, so you'd access menus with your fingers, select attacks and then choose which enemy to kill. In addition, you could guide your character by dragging your finger across the touch screen, and tap non-player characters to have conversations. You wouldn't have to worry about saving either, since the game would automatically record your progress if a call comes in or you hit the home button. 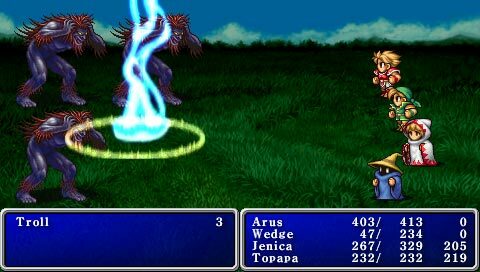 Square Enix's Final Fantasy series comes to mind, especially since the old-school games probably wouldn't take up a lot of memory, but we're eager to see what other publishers would do. 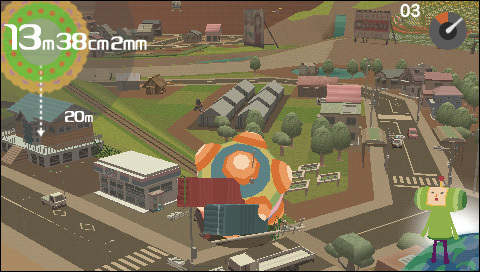 When it comes to Katamari, Namco Bandai did a great job taking something original and making it annoying by releasing cookie cutter sequels that did little to expand the gameplay. But there's no doubt that it would work on iPhone, as you guide the Katamari ball with your finger and tap the screen the do a 360 degree turn and rub up and down to get a speed boost. We'd pick up cows, forks, people and houses in no time. Will Wright's highly anticipated evolution game, Spore, is on its way to the iPhone, allowing us to create organisms from primordial soup and then swim around, devouring our prey. We can even customize our creatures to make them deadlier, not only to make us better hunters, but to defend against attack. This can't come soon enough.